The MV Skansonia is Seattle’s premier waterfront venue. Permanently docked on North Lake Union, this historic venue offers panoramic views of Seattle’s skyline, vintage nautical decor with modern upgrades, and award-winning catering. The MV Skansonia offers the ideal backdrop for weddings, corporate functions, and special events. 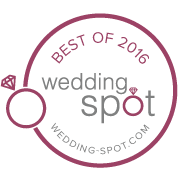 With over 30 years of experience hosting events, the Skansonia is recognized as one of Seattle’s top venues and multi-year recipient of the Couple’s Choice Award. We pride ourselves on our commended service, delicious cuisine, and unmatched views of Seattle. The story of the Skansonia begins at the Skansie Brothers Shipyard in Gig Harbor where the keel for a brand new ferryboat was laid on July 9, 1929.This was to be the Skansonia which was built for the run between Point Defiance and Gig Harbor. She continued on this route until 1967 at which time she was retired from active service. The MV Skansonia was sold and given a new life to become a premier private event facility, specializing in outdoor or indoor weddings and receptions for over 35 years. She sits on the North shore of Lake Union with an unsurpassed view of Seattle and the Space Needle. With unparalleled views of Lake Union, the Seattle Space Needle, Queen Anne, and the Seattle skyline, the Skansonia will take your breath away! Join us for your next wedding, corporate gathering, birthday celebration, life event, or social event! The Skansonia’s timeless elegance radiates from every room. Our upper deck includes two sitting rooms and a covered promenade. The Skansonia works with our sister venue, L.U.C. to bring a selection of local comforts. Featuring an array of appetizers, miso glazed salmon, and noted mac n’ cheese our spread is sure to satisfy all of your guests! We would be happy to show you our historic venue! Come take a personal tour and be truly captivated in the uniqueness of what the Skansonia has to offer. Our Event Specialists are onboard to help answer any questions and guide you in creating the perfect event. Email us at info@mvskansonia.com or call us at (206) 545-9109 to book an appointment. Or, book your appointment online!